Above Photo: A photograph of a Venezuelan hospital—edited to remove the underexposure and sickly green tint added by the New York Times. (photo: Meridith Kohut/New York Times. 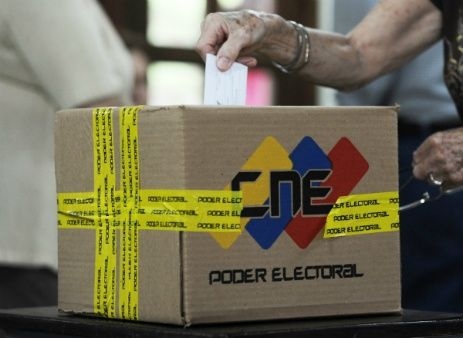 Vivanco is an especially dubious source, given his extremely biased track record on Venezuela. Just over a decade ago, the HRW official was publicly rebuked by over 100 Latin America experts for a report on Venezuela that did “not meet even the most minimal standards of scholarship, impartiality, accuracy or credibility,” which included similar sweeping allegations of politicized denial of care, based on the second-hand testimony of one individual. This whitewashing of right-wing terror extended also to Casey’s framing of the 2017 anti-government mobilizations, which he said led to 100 deaths in a “government crackdown,” leaving out the numerous killings carried out by opposition supporters, including mob lynchings of Afro-Venezuelan men and sniper assassinations of Chavista activists.Nor did Casey mention the opposition’s repeated acts of violence against Cuban health professionals and clinics. Following Capriles’ US-sanctioned refusal to recognize the indisputable 2013 election results, and his call for his supporters to “discharge that anger” in the streets, seven people were killed in the ensuing street violence that saw 18 Cuban-staffed neighborhood health clinics set ablaze. 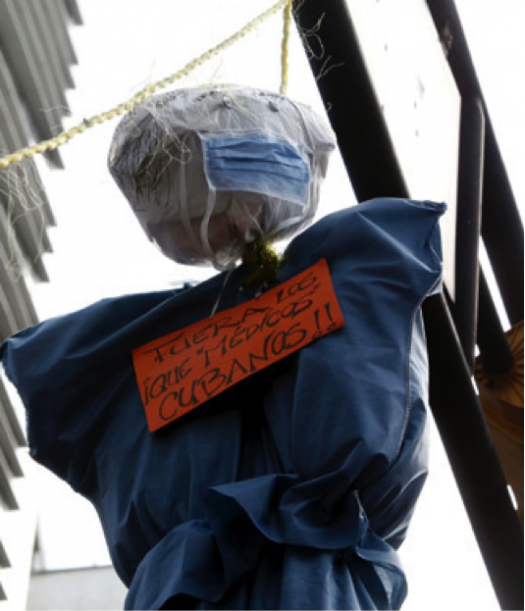 The violent anti-government protests of 2014 likewise featured no less than 162 attacks against Cuban doctors, who were prominently lynched in effigy. In omitting these rather important details, Casey succeeded in inverting reality: He presented Cuban medical staff as witting or unwitting gendarmes of a brutal regime, rather than frequent victims of opposition violence. Casey’s highly selective picture of Capriles and López is particularly disingenuous, given that both politicians actively participated in the short-lived 2002 military coup, with the former leading an attack against the Cuban embassy, and both of them involved in the mob kidnapping of Interior Minister Ramón Rodríguez Chacín. That alone would have disqualified them from holding political office anywhere else in the world.